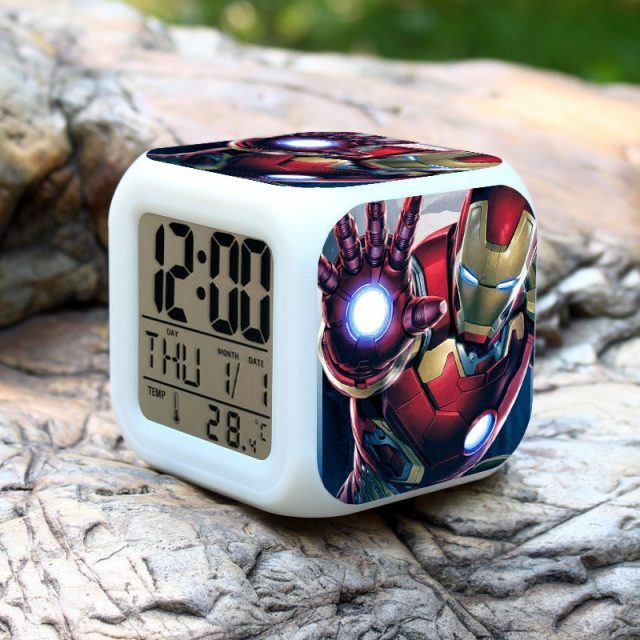 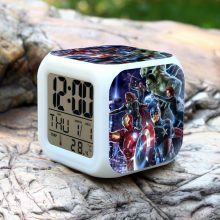 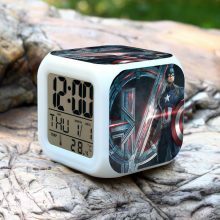 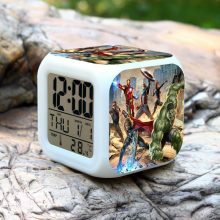 Digital LED screen Alarm Clock with Marvel Superheroes printing, made of plastic and sized 8x8x8cm. 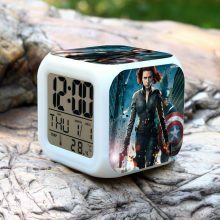 Displays time, date, temperature. 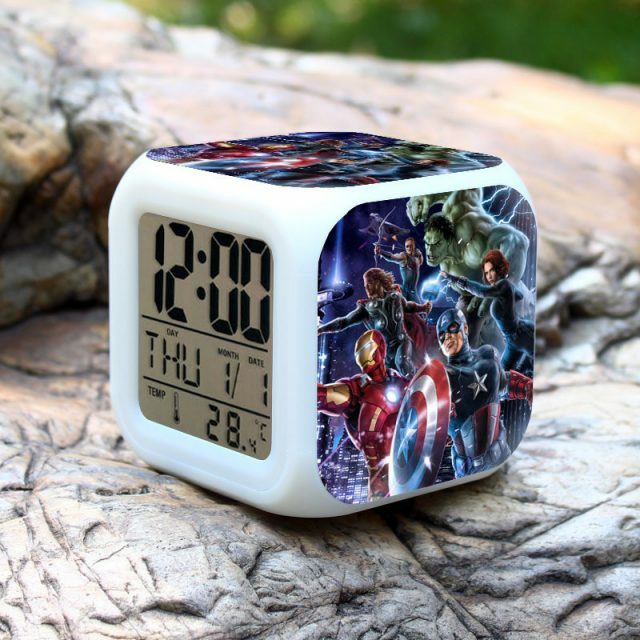 Rise and shine to begin a new day Marvel adventure! 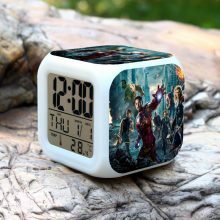 Glowing LED light with 7 different color changing. Support 12-hour and 24-hour time format, calendar, temperature and alarm.